To apply for an opening, forward your CV in word or PDF format to recruitment@eirteic.com. Create and run successful sales campaigns to turn those opportunities into sales. Working with our technical and marketing teams, and the customer at all levels, create compelling solutions and positive outcomes. Willingness and ability to learn and adapt to business needs. A genuine interest in OSS technologies. Communicate with customer in a constructive way. Manage tickets in an efficient and timely manner. Access customers’ platforms and resolve faults. Research technical faults and create resolution documentation. Work Approval: Approval to work in Ireland and the EU. 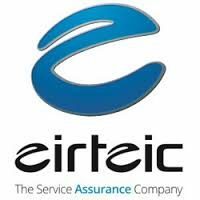 Eirteic is a specialist software integrator based in Ireland. We are a niche team who work with massive customers across the globe, delivering major change and tangible results. We integrate exciting and complex software solutions to major telecom networks, on time and on budget. We are looking for Senior Consultants to help our Operations team deliver these projects. Ideally you will have an OSS background, with a deep understanding of telco software systems. A knowledge and understanding of SDN and NFV would be useful. All positions involve travel, including some short-notice travel, to customer sites across the globe. You will have considerable customer contact so you should be humbly confident in your abilities and be able to articulate well. You will be a can-do person, have a positive attitude and enjoy challenging work. You must be self-motivated to achieve your goals, take pride in contributing to your teams’ efforts, and take responsibility for your role and function within Eirteic.